Premium line dedicated to cruiser and heavy touring bikes, featuring high-tech construction with fashionable design, it includes compounds that offer high grip allowing the rider to exploit great torque output with total control. Machine-specific carcass construction for exceptional riding comfort and stability at all speeds, even under heavy load. 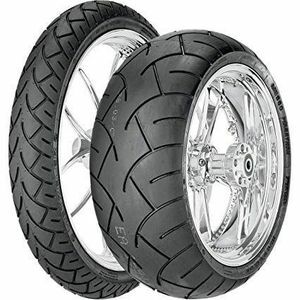 Tread pattern design with offset central grooves alignment providing very high mileage for never-ending riding enjoyment.